To be a successful soccer player, you need certain skills. Whether you’re just getting started and are beginning to develop your skills or you’re a seasoned pro looking to fine-tune your game, solo drills can and should be a big part of your training. Soccer(football) requires finesse, but it also requires laser like focus, cat like reflexes and pinpoint accuracy. Sure, training for speed and agility are crucial parts of your skill development, but if you focus too much on getting faster or stronger without putting in the time to develop your finer skills like vision and muscle memory you’ll never achieve the type of success you’re capable of. That’s where solo training can help. The truth is, early in their careers all great soccer players spend a significant amount of time training alone. Sure, they practiced with their teams too, but those that make it to the highest levels have logged in hundreds or even thousands of hours of solo training, giving them the winning edge. So what do ‘great‘ players do that separate them from the average or just so called good players? And while there is definitely something to be said about practicing with a team and doing group drills there are certain skills that are best learned the old-fashioned way – repetition. So, if you’re looking for the best ways to develop your soccer skills and bring them to the next level here are a few of the best ways to do it. 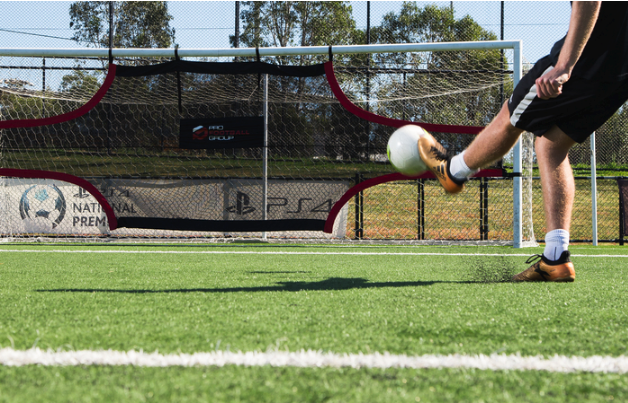 Nothing improves your ability to score goals like being able to strike with precision. And the skill that it takes to place the ball where you want it and away from the goalie is something anyone willing to practice can acquire. 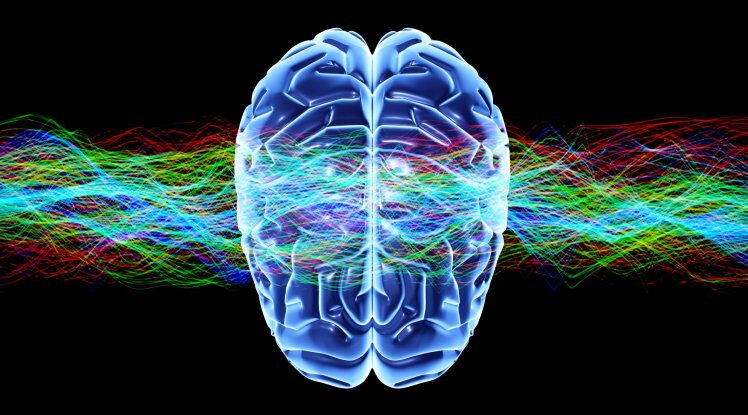 In fact, research has shown that in contrast to amateur players, high level athletes are able to concentrate on a smaller visual cue a lot longer prior to making any physical movement. And the difference between an amateur or college level player and a pro could very well be determined by just how well the player can focus on their target. Because, even when the players have equal athletic ability, comparable soccer knowledge and similar technical skills a pro knows how to score and can do it a lot more often. In addition, the pro can focus with fine precision on specific scoring zones and do it quickly and efficiently prior to shooting. Researchers at the University of Exeter in the UK have studied this phenomenon in a soccer-specific lab. 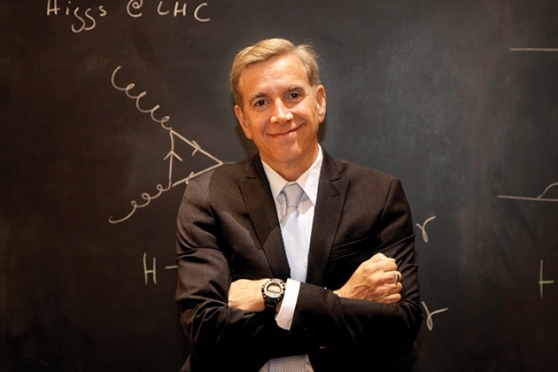 In one study, the research team split a team into two separate groups. One group would practice focusing and visualizing on the net while ignoring the goal keeper. The other group would practice by looking at the goal keeper and trying to shoot away from him. The result? The focusing strategy was far more successful in scoring goals. What’s more, researchers also found that this skill set was trainable. In fact, players using this strategy were able to make continuous improvements to their accuracy and scoring throughout the study. And top coaches and trainers are now looking at this science and realizing that there is absolutely no better way to improve a player’s scoring capability. The best tool we’ve found to develop this skill is the Pro Target Net. 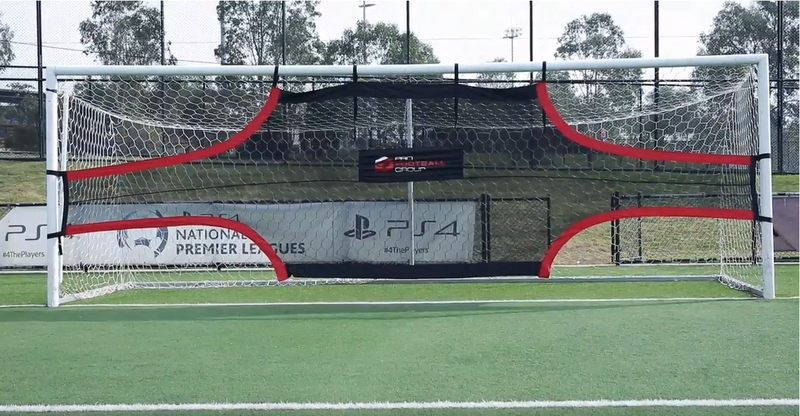 Running drills with the Pro Target Net has been proven to help increase scoring. Because it provides the right visual framework needed for consistent scoring. And while top programs use tools like the Pro Target Net it’s a tool anyone can use. This allows players at all levels to train like top athletes to refine their scoring capabilities and improve their accuracy. And it can be used every day. Research studies like this are changing the way athletes train by allowing players to maximize their skill set on their own time. In addition, using tools designed to improve your visual accuracy are proven to improve your scoring. And while training with tools like the Pro Target Net will put you on the fast track to scoring success, there are other skills that you can work on by yourself. Skills that will get you closer to the goal so that you can use your newfound scoring ability. 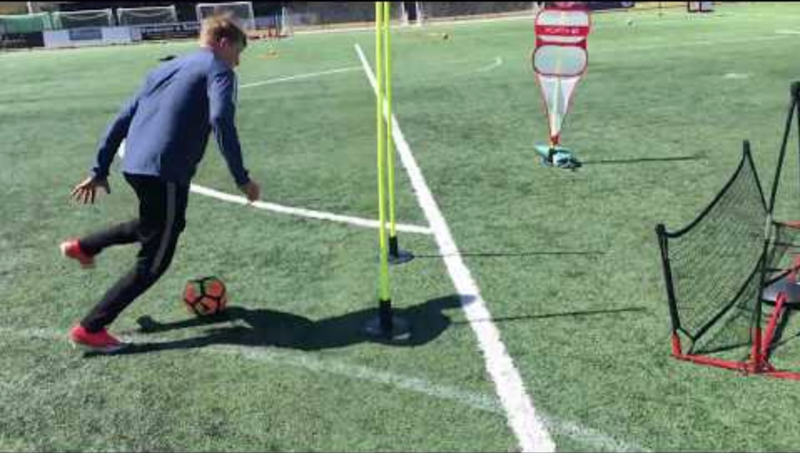 Another great way to develop your skills as a soccer player is to use a rebounder. No matter whether you’re a recreational player, an amateur who wants to improve your level of play or you’re a professional looking to refine your skills using a rebounder can quickly improve your level of play. For example, with a rebounder you can you improve your ability to pass and take touches. You can also practice volleys with instep and laces. Using a rebounder is the perfect way to get the repetition you need to get the touch and technique you want. Our favourite rebounder is the Pro Skill Rebounder. It’s sturdy, portable and easily transported. Meaning you can use it anywhere and work on your game whenever you have the extra time. Without a rebounder, it’s almost impossible to develop your skill set when training on your own. With a rebounder you can practice passing, shooting, heading and receiving the ball. Normally, when you’re away from your team or coach these skills are impossible to replicate without the use of a rebounder. There are also a wide variety of skills you can develop with a rebounder. So, whether it’s practicing your all-around game or developing team-based skills a rebounder is an essential tool. And if you’re serious about improving your game a rebounder like the Pro Skills Rebounder is will make a huge difference. Gives players the repetition they need to get the touch and technique they want. 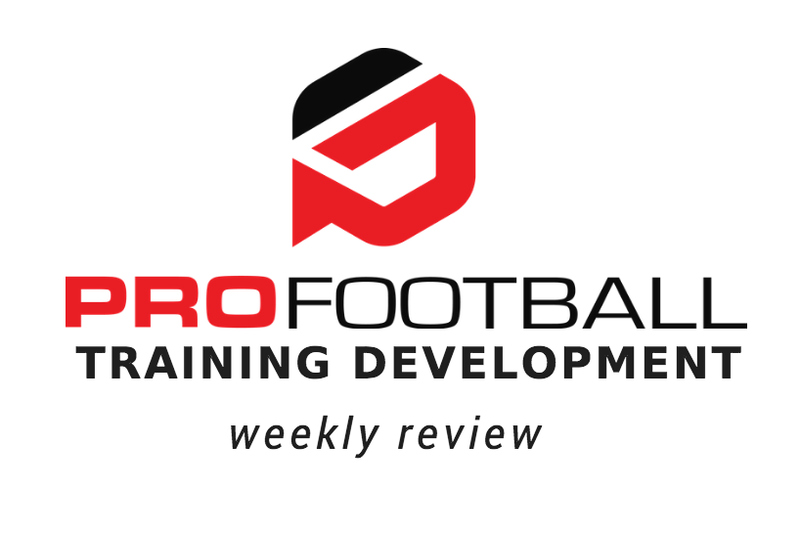 Perfect practice makes all the difference and when it comes to developing your football skills there really is nothing more effective than the combination of target training and rebound training. It’s never been easier to put the time into developing your game. 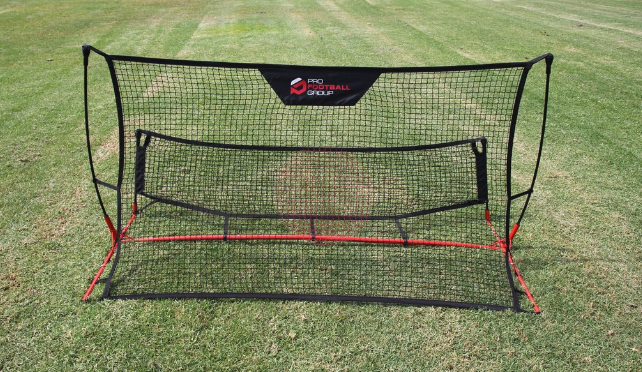 And with tools like the Pro Target Net and the Pro Skills Rebounder, you’ll quickly develop a set of skills that will easily put you ahead of the competition and allow you to dominate on the football field every time you play. Enter your email below to get a 20% off coupon today!